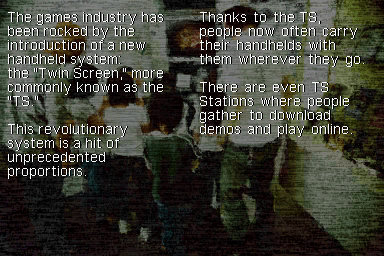 The game starts off with wanting you to put in headphones for a better experience, since the game has a 3D sound system (which really sets the atmosphere). The setting is great, the concept even better and it also has a translated sequel! The only downsides are the absolutely horrendous movement in the 3D first person map and the frequent rotation of the DS. If you like scary games and retro games, this is a good pick for you. If you prefer more fast paced games, I suggest looking elsewhere. 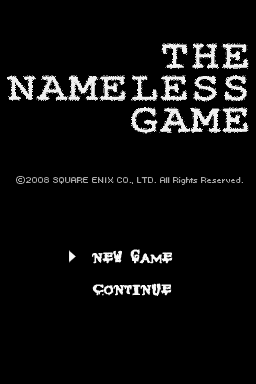 This is a complete translation patch for The Nameless Game aka Nanashi no Game for the NDS.